“Costumes don’t make a character; they help an actor do his job. They allow the actor to become a character,” said James Madison Miller, an award-winning designer. The charismatic teacher and theater artist is retiring late this summer after 36 years of costume designing, choreographing, and directing at the University of Missouri and its professional Summer Repertory Theatre. At this point in Miller’s career, designing costumes is as easy as falling off the proverbial log. But looked at from another perspective, it is a complicated process that involves the sum total of life experience, as Miller explained in a phone interview on June 3. Miller started his love affair with fabric when he was a year old, sitting on the floor next to his grandmother at the sewing machine. He lined up strips of fabric and enjoyed their colors and textures. With three older sisters and a mother who sewed, he was always aware of fittings for dresses and alterations, so he has a very deep understanding of the sewing craft. Fabric rests close to his bones. According to Miller, there is no one process for developing a costume design. One’s approach depends on one’s starting point. A costume designer might be someone “from fashion, a disappointed actor who embraces design,” or someone from the sewing side of things. 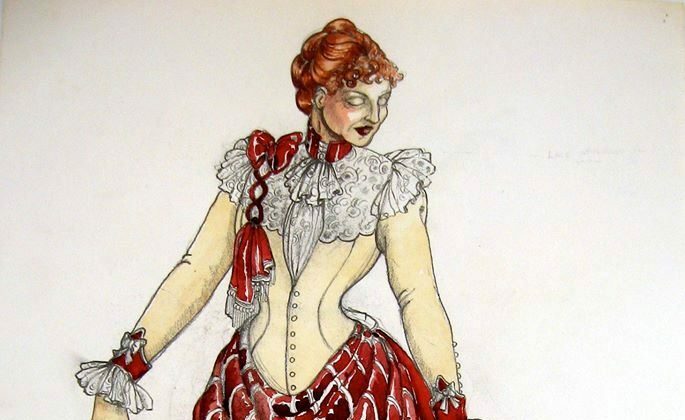 Another approach might come from someone who creates both the costume and scenery—an overall designer. Miller comes at costume designing from the art side. He started drawing when he was 3 or 4 years old. By the time he got to high school, he had a sizable portfolio, and all his friends knew that he drew. Naturally, when he and his actor friends at the University of Southern Mississippi put on their first show, they asked him to do the costumes. A designer’s process also depends on the type of media one is designing for—whether in a university setting, on Broadway, or in Hollywood for films or TV. Miller has designed for film. After getting his MFA in costume design and working as a designer for the University of Southern Mississippi for two years, he was hired as assistant designer to Scotty Bushnell for a Robert Altman film. “Thieves Like Us” (1974) was set in the Depression and starred Keith Carradine. Often for film and TV costumes are simply bought. 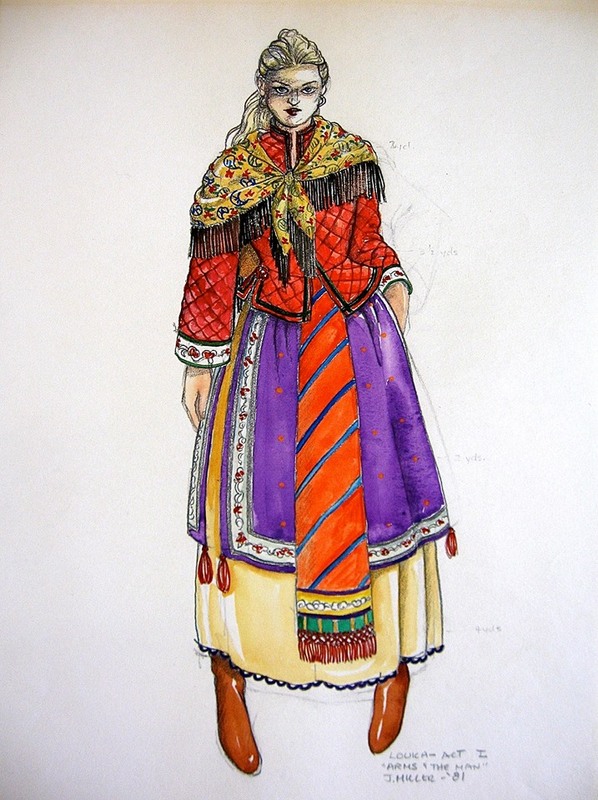 In theater, some are bought, some are pulled from stock and reworked, and some are envisioned by the designer and created in the costume shop. Miller designed and sewed the only costume in the movie that was made from scratch—specifically created for the movie. “I sewed it all myself; can you believe it?” he says, jokingly. 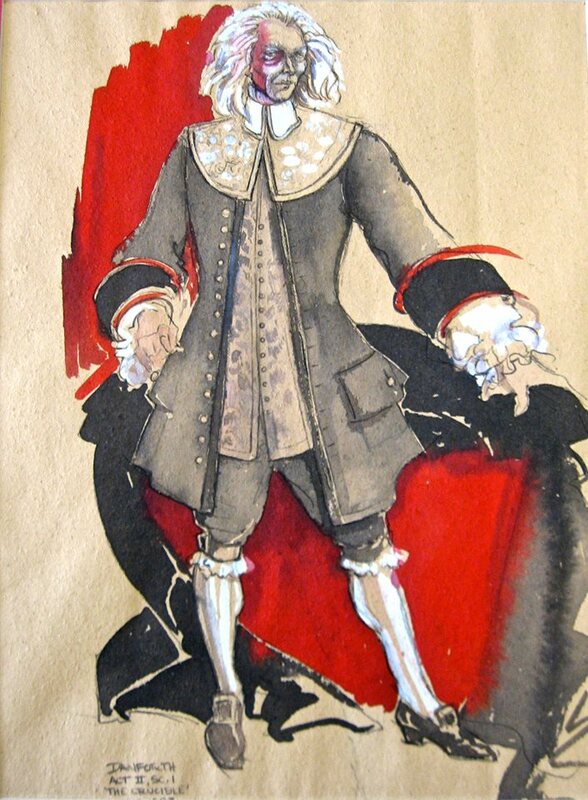 During his entire university career, his drawings had been lovingly turned into wearable art by the school’s costume shop. He never sewed a stitch. The rest of the Altman film’s costumes came from simply tracking them down. He and Bushnell scoured tiny Southern towns to find stores that had folded in the Depression and still had merchandise from that era. And they got Depression-era prices. “For wing-tipped two-toned shoes, we paid $1.75 a pair,” he said. Costumes are scenery in motion, a most personal scenery in motion. Despite Miller’s success designing for a film, he didn’t enjoy it enough to continue. What he does enjoy is seeing a human being in motion on stage. 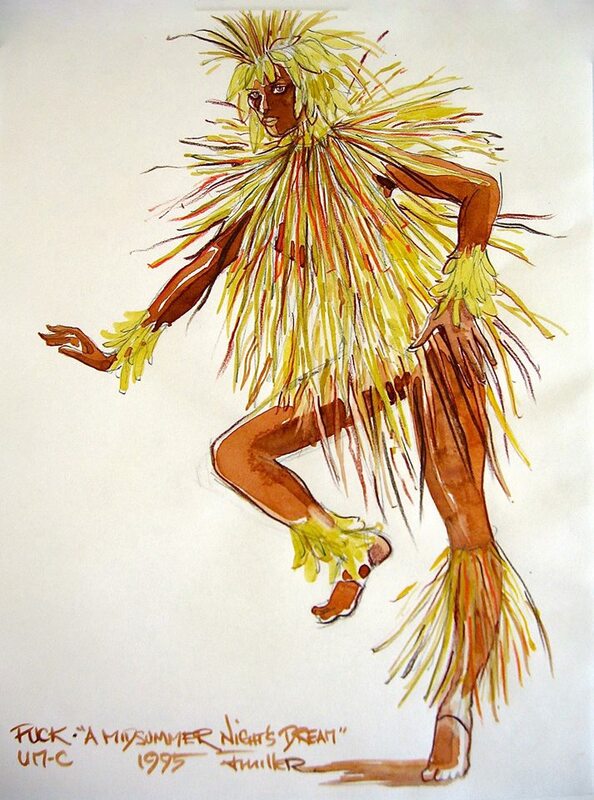 “Costumes are scenery in motion, a most personal scenery in motion,” he said. The personal aspect is part of Miller’s design process as well as the artistic. He conceives a design with a particular actor in mind for the role. “I don’t like designing without knowing who is going to play the role,” Miller said. 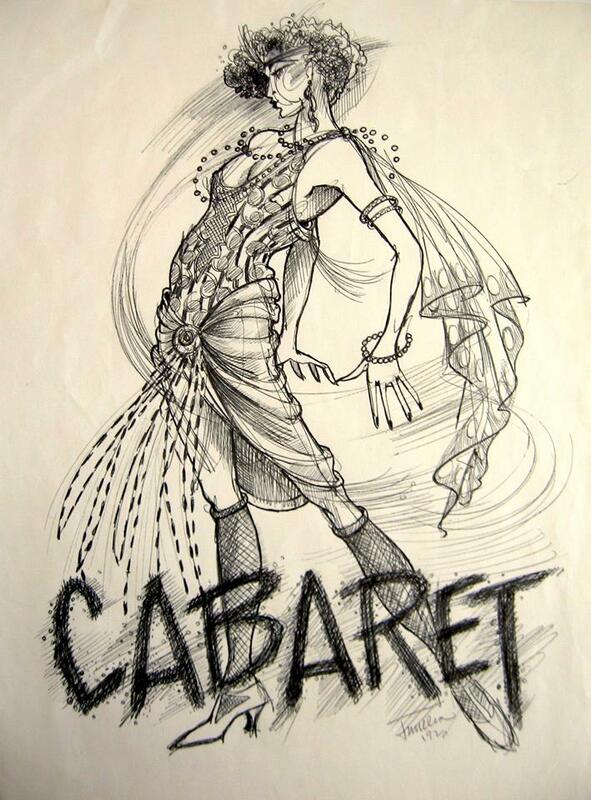 In the rare instances when Miller designed for singers or dancers whom he hadn’t met, he sometimes had to redraw the designs. He had four or five actors with curvature of the spine, for example, and their costumes needed to be reconsidered after he discovered that fact. He’s planning to give all his renderings to the University of Missouri archives. In fact, they are sitting on his desk, ready to go. They have been for a while now. How Do Costumes Help Actors? 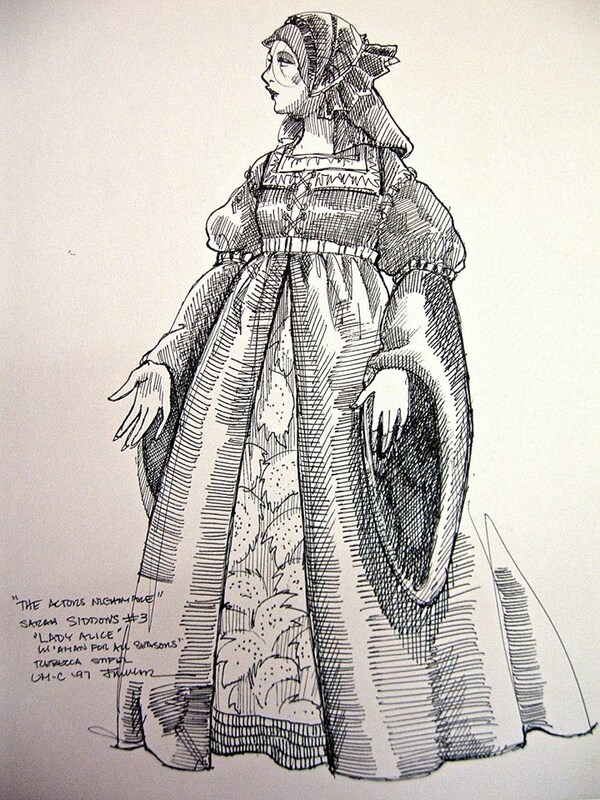 Once Miller designed costumes for Shakespeare’s “Twelfth Night,” and he had to find a solution for the actress cast as Viola. The character, a young noble woman, poses as a boy through a good portion of the play. This actress, however, had a very large bust. “I don’t know how I knew to do this, but I chose an off-center geometric design to draw attention away from her chest,” Miller explained. 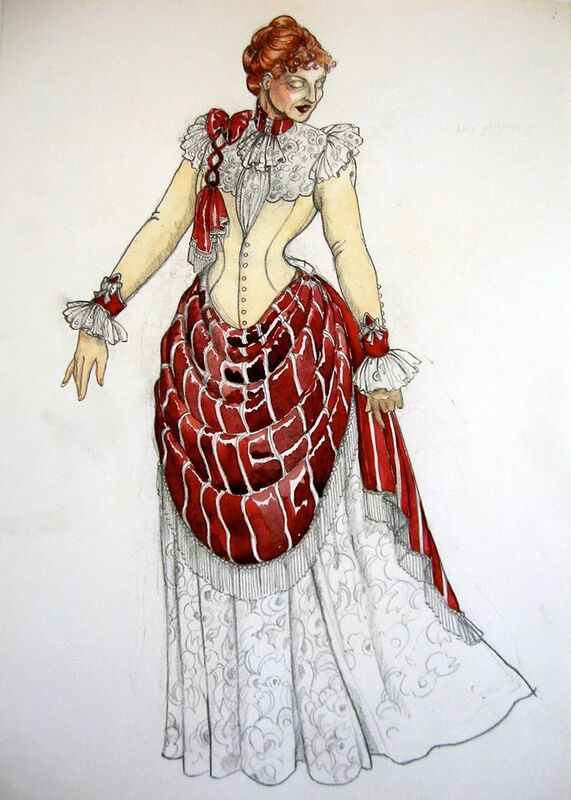 Thus, the costume allowed the actress to become believable in the role. Each life experience helps deepen that ‘accumulated visual knowledge’ for a designer. On the other hand, if designers try too hard to make the characters through their costumes, they run a risk. The first time Miller designed “School for Scandal,” an 18th century comedy of manners, he went all out with the costumes. Although at the time the director loved the costumes, in retrospect this director felt that the costumes overwhelmed the actors. “He may have been right,” Miller said. Sometimes actors can’t come up to the theatrical level of the costumes because they lack experience with the period,” he said. Typically, young American actors are more at home in contemporary dramas. In order to come up with a good design that can help an actor, the designer should know the play, the playwright or composer, the era in which the play is set, and the acting style of the play. Each life experience helps deepen that “accumulated visual knowledge” for a designer. Miller’s knowledge of the Depression era may have begun with the Altman film, but he’s designed “Anything Goes” twice, “Cabaret” three times, as well as “Dames at Sea,” “Brighton Beach Memoir,” and “High Society.” That list includes just the shows he can remember off the top of his head. “I know the clothes of the ’20s and ’30s as well as I know the clothes now. I know them better,” he said. From the Americana setting of “Big River” to the fairy tale world of “Into the Woods,” to Shakespeare’s “A Midsummer Night’s Dream” set in the era of the British Raj, it would seem Miller has done it all. "The Diary of Anne Frank," the current production by Writers Theatre, is newly adapted by Wendy Kesselman and directed by Kimberly Senior. It is also superb.